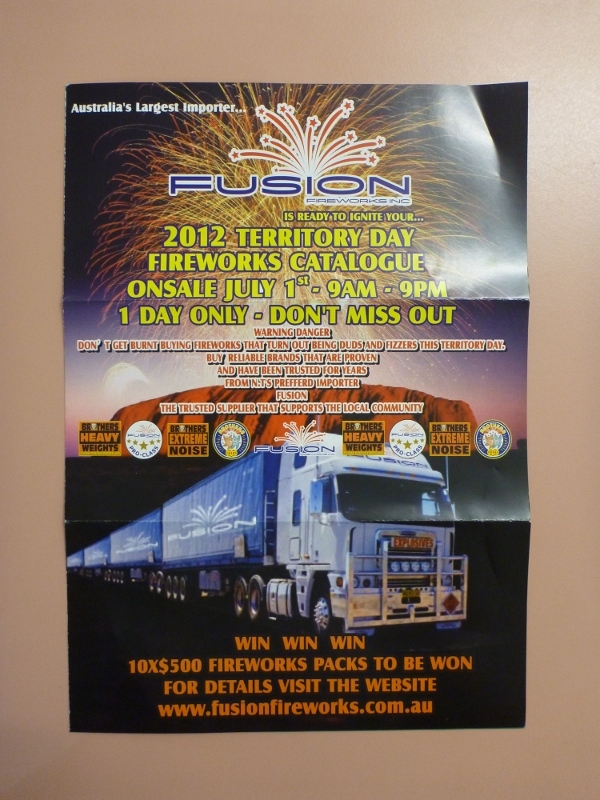 Just received my fireworks catalog in preparation for Territory day. I’m thinking a cosmic gate, a few earth quakes, some thunderstrucks and a grave shaker. Actually just whatever I can fit in the back of the hilux. I’ll buy it by the ton. New article published about why we got a Toyota Hilux.